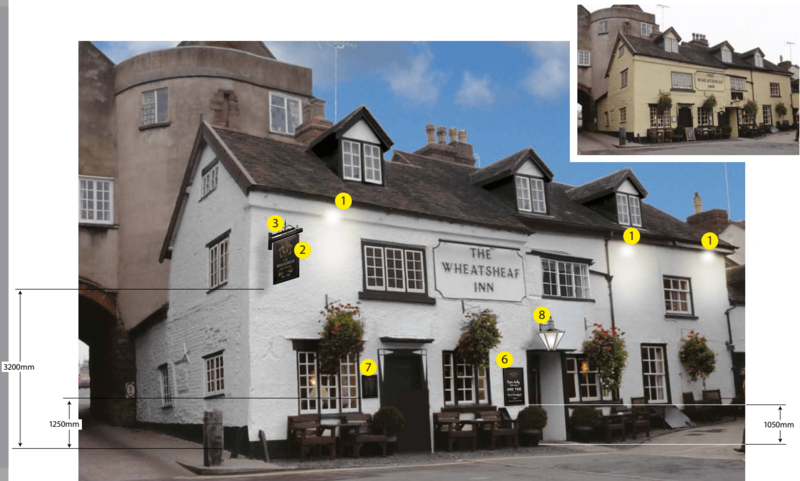 Last July, Marstons submitted a planning application to spruce up the outside of the Wheatsheaf on Lower Broad Street. At the time, I said the plans “do not suit historic Ludlow and will damage the historic character of Lower Broad Street.” New plans have now been submitted. They remove a large sign one the west wall by the Broadgate. Plans to replace the pub name panel on the front of the pub have also been dropped. These plans are a great improvement and I think they are now fit for approval (17/03335/ADV). Will the outside seating stay as the oversized benches that are presently there?. These pictures all show the smaller round tables that used to be there and were more appropriate as they didn’t overhang the pavement into the highway. The tables are permit issue not planning. I am sure the Wheatsheaf has a pavement permit but I don’t know its extent. I agree, a much better considered solution. The tables are far too big. They overhang onto the highway and make it very difficult for pedestrians,wheelchairs,and pushchairs, the highway which does not belong to the wheatsheaf is used regularly by cyclists in large numbers. Cars and vans, motorcycles all parked blocking the road while visiting the Wheatsheaf which is a PUBLIC HIGHWAY. So smaller and less tables,and pavement permits.!!!!!! 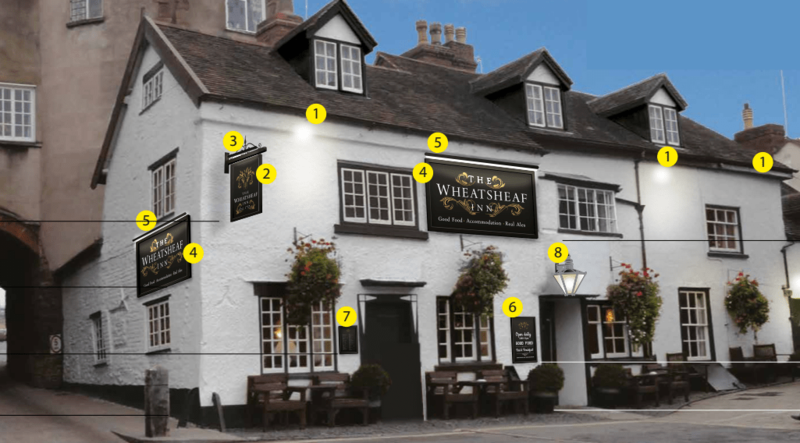 The wheatsheaf advertise a beer garden????????????where????? ?